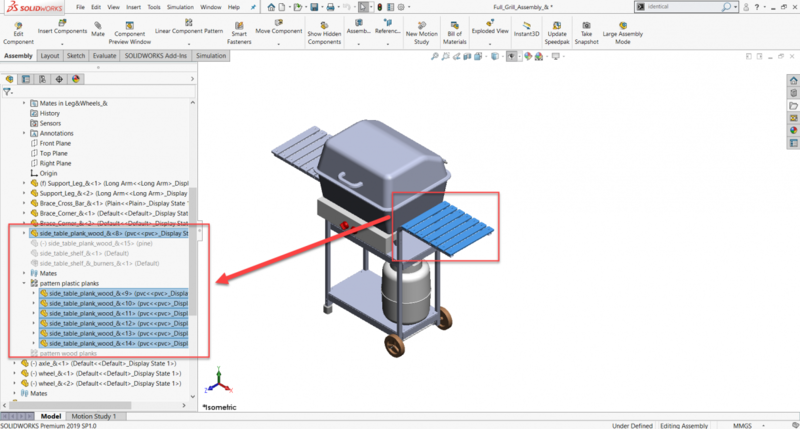 SOLIDWORKS 2019 allows you to select identical components by selecting one of the components. And all components in the Feature Scope section for features such as Extruded Cut, Hole Series, Hole Wizard, Revolved Cut, and Swept Cut. 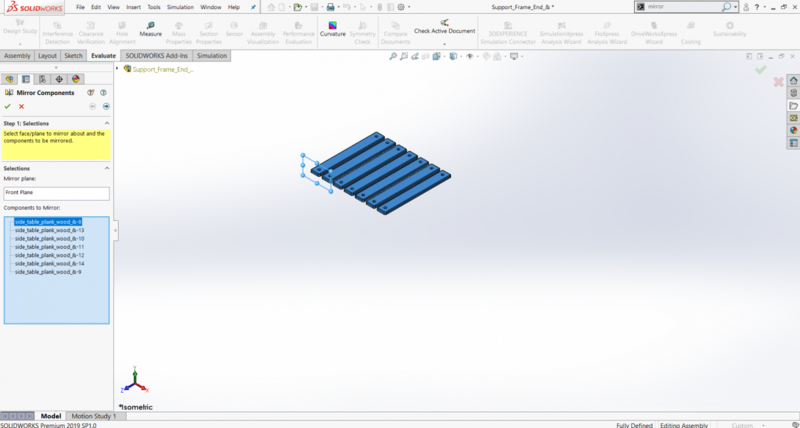 In the following example the goal is to mirror all the seven planks relative to the front plane. 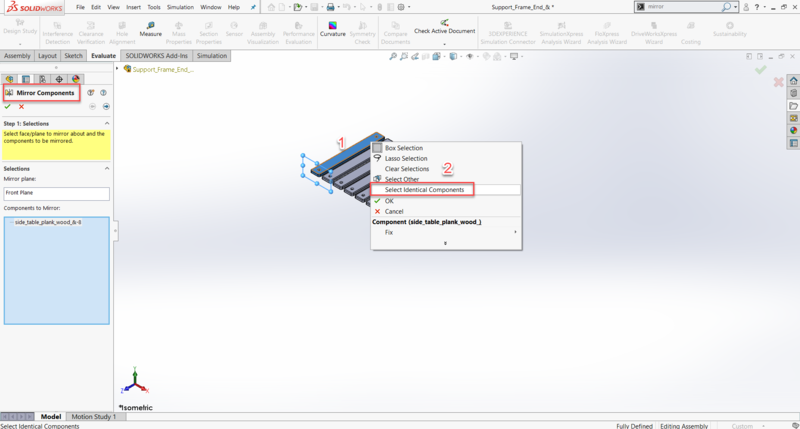 Within the selection box of Mirror feature, one of the planks is selected and after right clicking on the selected component in the graphics area and clicking on Select Identical Components, the rest of the components are selected automatically. 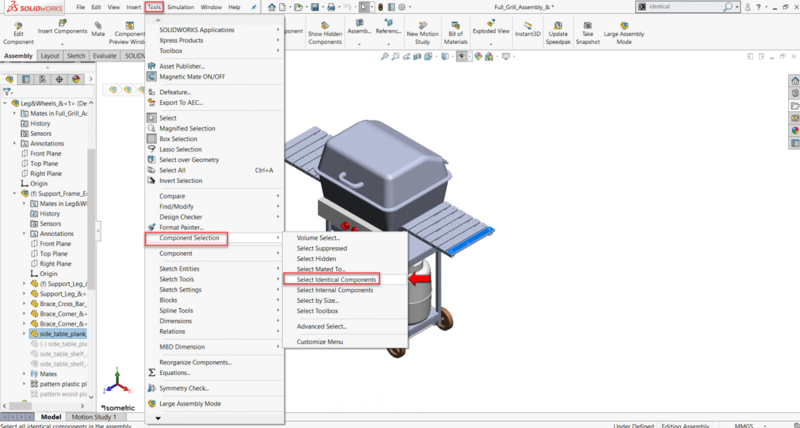 You can access this option by right-clicking a components in the graphics area and choosing Select Identical Component in the graphics area, by right clicking a component in the property manager of the feature, or by right clicking on a component from the flyout FeatureManager design tree. You can also use this feature without starting a feature by just selecting a part in the graphics area and navigating to Tools > Component Selection > Select Identical Components. All the identical components will be selected in the FeatureManager Design Tree.